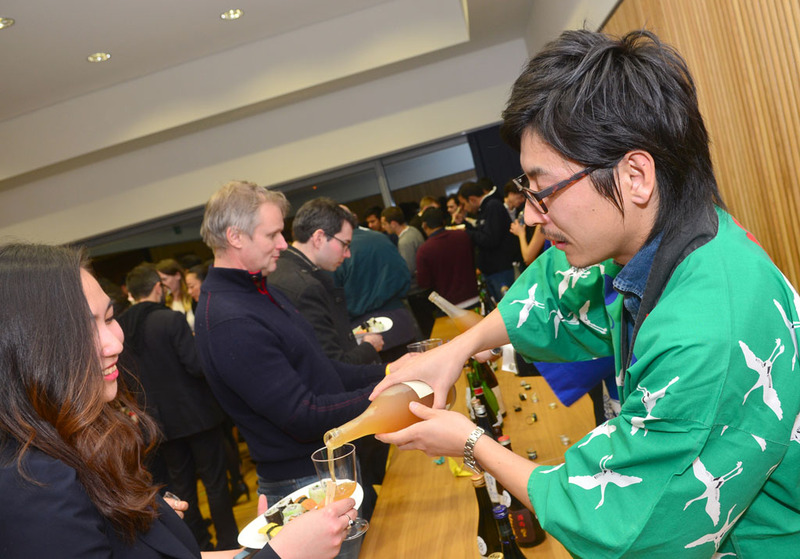 Sake Samurai UK and World Sake Imports visited Said Business School at the University of Oxford to showcase a selection of sake to 2013-2014 MBA students. 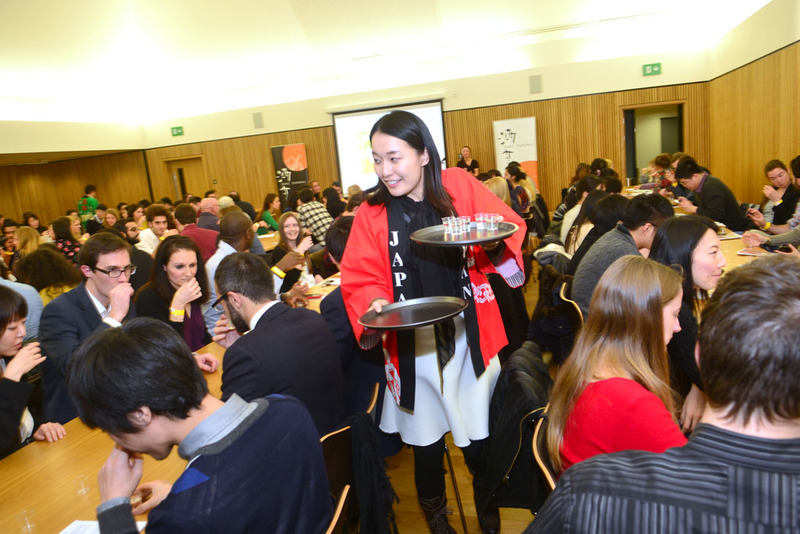 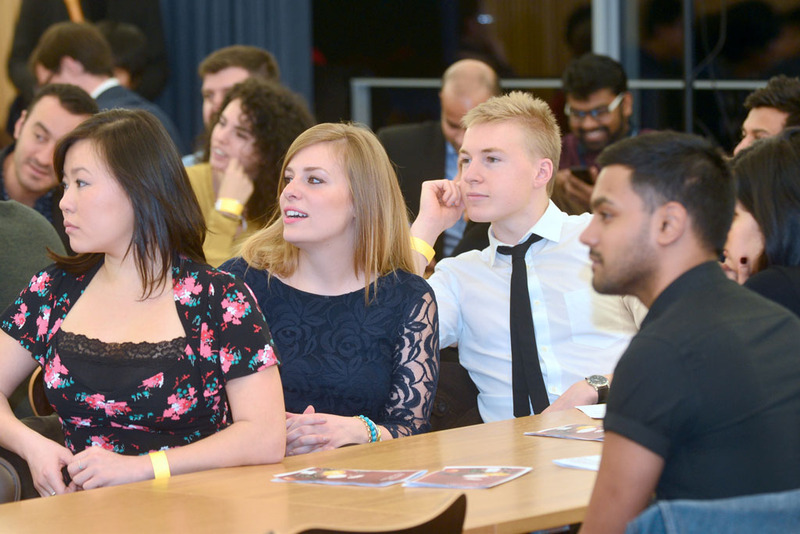 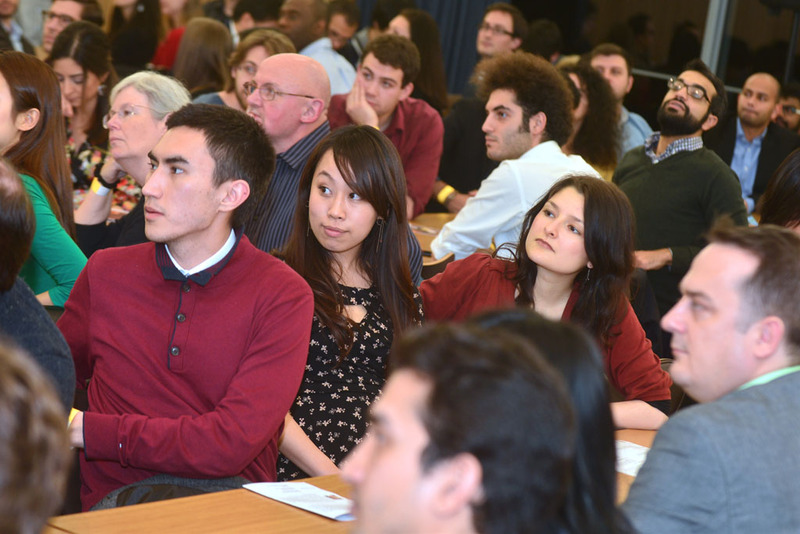 Nearly 200 students from 45 countries attended the evening, which included lectures by Rie Yoshitake, UK Representative of the Sake Samurai Association, and Asami Tasaka, a UK sake importer from World Sake Imports. 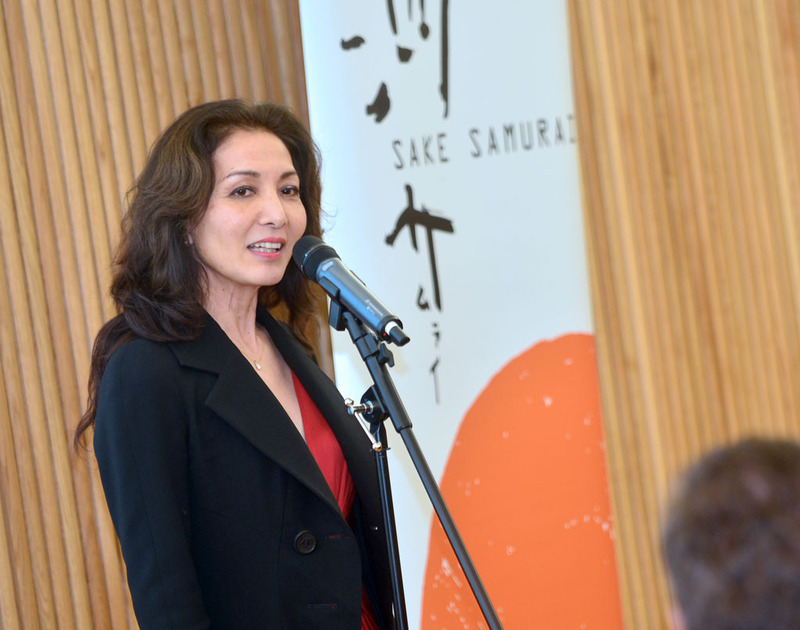 Rie talked about the history and background of the unique national drink and the relationship that Japanese people have with sake: it is both a vital part of traditional ceremonies, particularly auspicious occasions such as weddings, and a social lubricant, used to make friends. 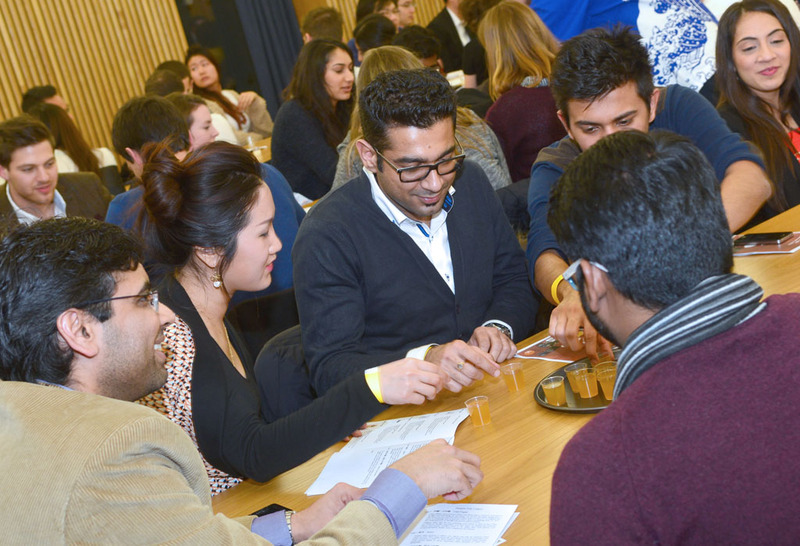 The small glasses—known as ochoko—in which sake is traditionally served are testament to this social role; the idea is to pour and have it poured, creating and cementing bonds of friendship as you go. 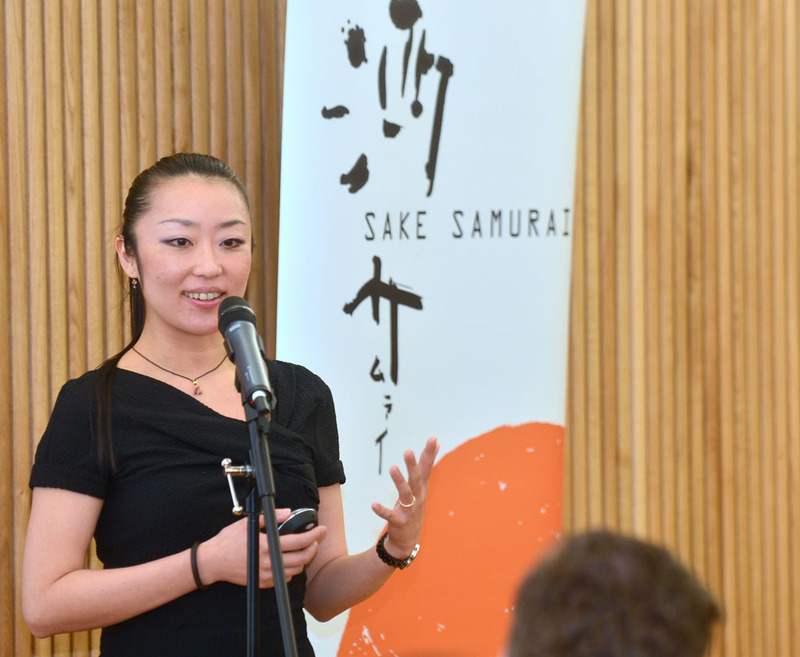 Asami took a more technical approach, talking about ingredients, milling, and serving temperatures, before moving on to coach the students through a tasting of four sake: a daiginjo, a junmai, a nigori (“cloudy”), and an umeshu. 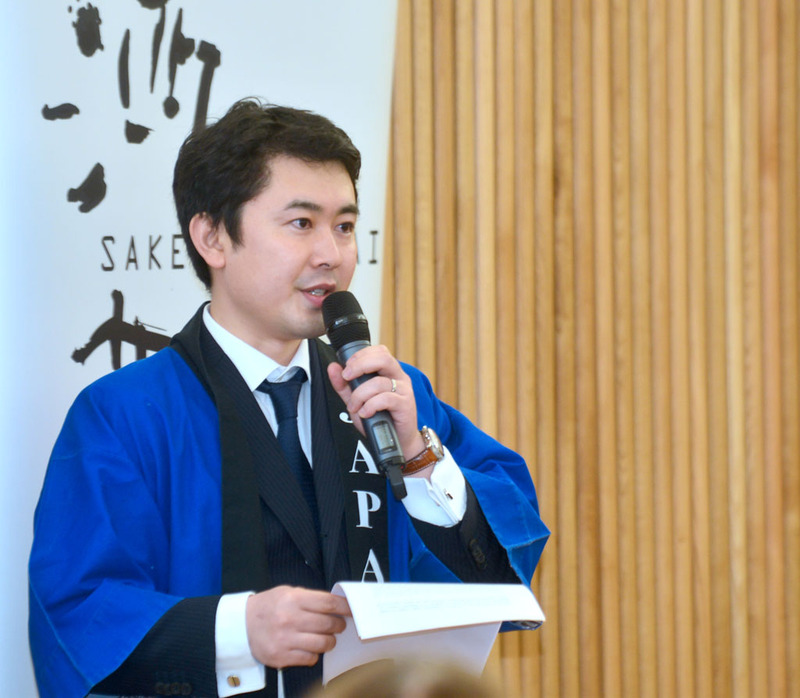 All the sake were served slightly chilled, but Asami was quick to emphasise how a single bottle can produce many different tastes, according to the temperature at which the drink is served. 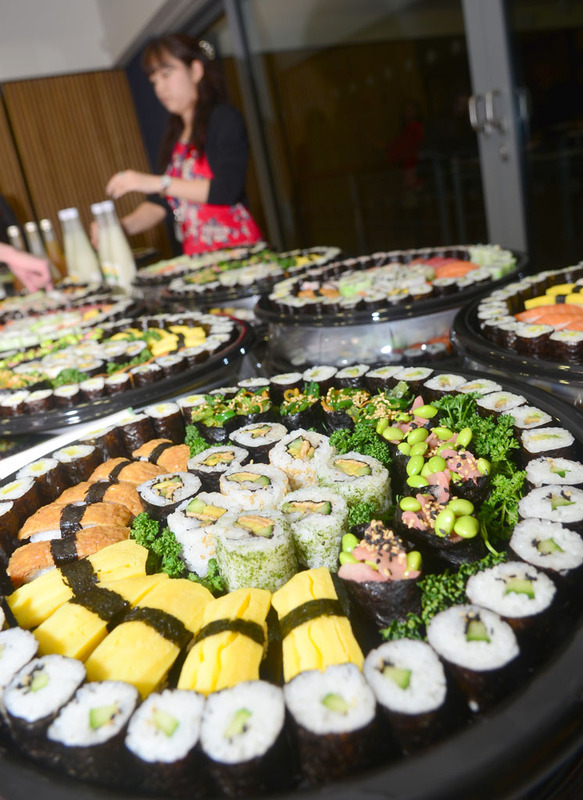 Each sake was presented with some food pairing suggestions. 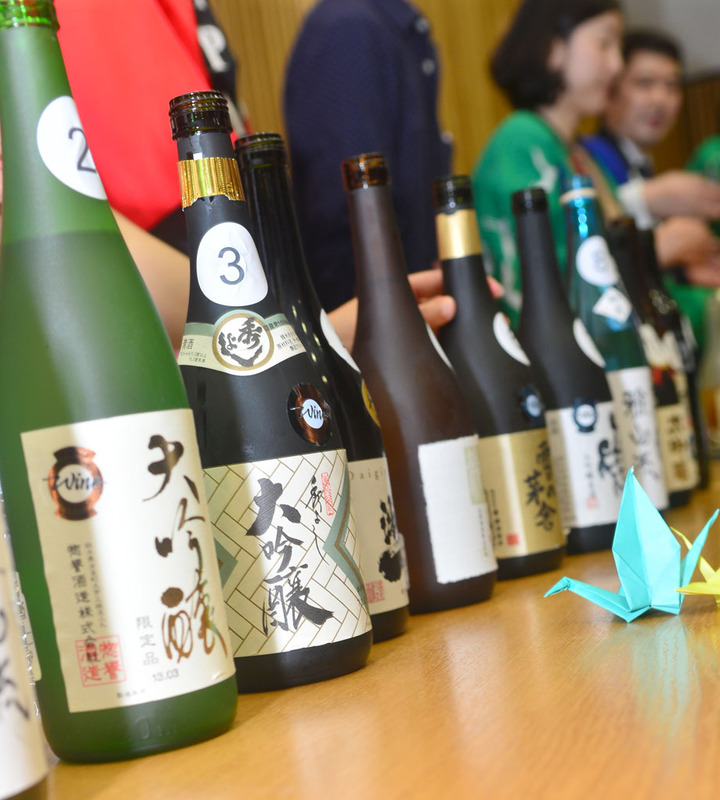 After the lectures, a selection premium sake was served, including junmai, junmai gingo and daiginjo, and ginjo and daiginjo, all of which were entered into the International Wine Challenge competition last year. 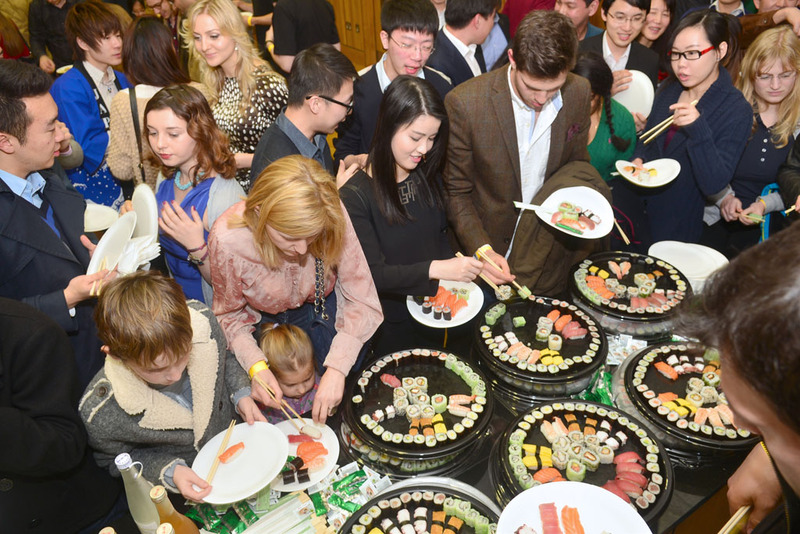 The sake was accompanied by sushi from Taberu restaurant in Oxford, and a selection of snacks from Tazaki Foods. 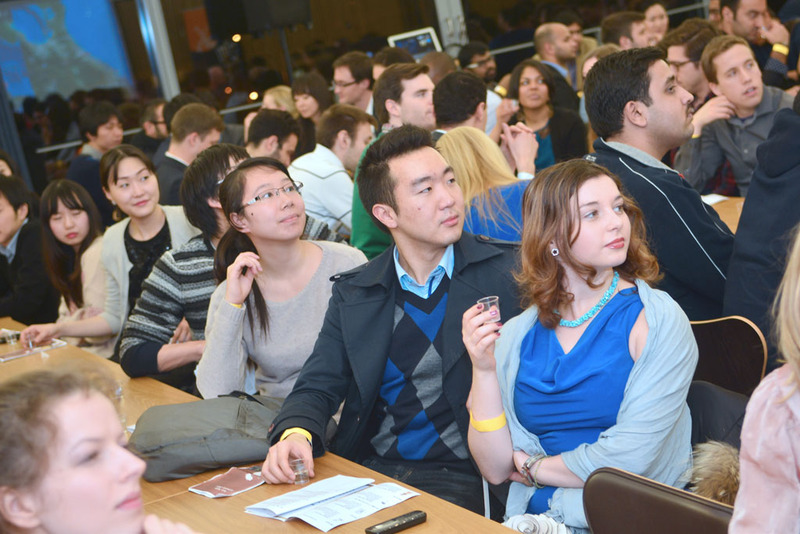 The reaction from the international audience was overwhelmingly positive, with many expressing surprise at the range of flavours and textures showcased in the tutored tasting alone. 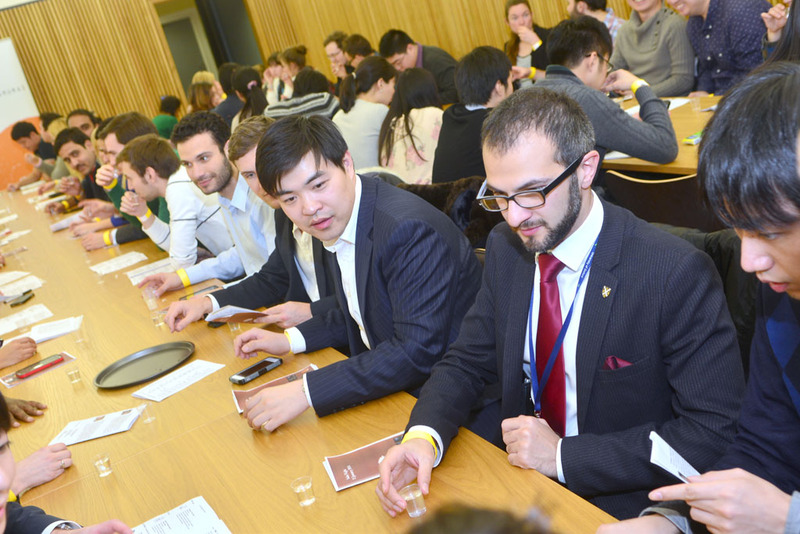 With many of these MBA students poised for global careers on the international stage, learning more about sake—from the taste and the types to the cultural context—may prove a useful tool for their business and personal lives alike.